Nokia 6.1 Plus and Nokia 5.1 Plus Official Launch, The Price? 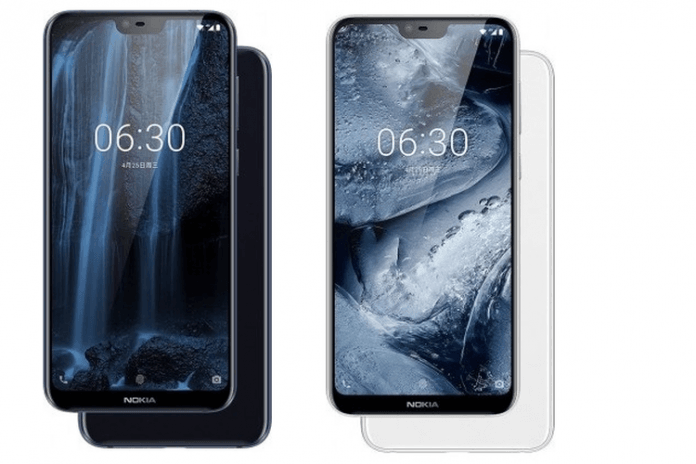 Home News Mobile Nokia 6.1 Plus and Nokia 5.1 Plus Official Launch, The Price? HMD Global began this week by launching two new middle-class mobile phones made in India, Nokia 6.1 Plus and Nokia 5.1 Plus. Both are international versions of Nokia X6 (6.1 Plus) and X5 (5.1 Plus). Before launching in the international market, Nokia 6.1 Plus was first inaugurated in China a few months ago, then Nokia 5.1 Plus followed in the Bamboo Curtain Country in July 2018. In India, Nokia 6.1 plus comes in one variant with a 5.8 inch screen (2,280 x 1,080 pixels, 19: 9 aspect ratio) with bangs on the top, Snapdragon 636 chip, 4 GB RAM, 64 GB storage media, 3,060 mAh battery The following is a 16 megapixel dual camera and 5 megapixel monochrome and a 16 megapixel front camera. Meanwhile, Nokia 5.1 comes with a 5.86-inch screen (1,520 X 720 pixels, 19: 9 aspect ratio), also with bangs on the top, MediaTek Helio P60 chip, 3 GB / 4 GB RAM, 32 GB / 64 storage media GB, and a 3,060 mAh battery. There is also a 13-megapixel dual camera and 5-megapixel camera and an 8-megapixel front camera. Like Nokia smartphones made by HMD Global, both Nokia 6.1 Plus and Nokia 5.1 Plus both run the “plain” version of the Android 8.1 Oreo operating system, with no custom UI additions. The camera of both cellphones is also reinforced with artificial intelligence technology (AI) to improve the quality of shots automatically. The Nokia 6.1 Plus is priced at 15,999 Rupees or around Rp 3.4 million.